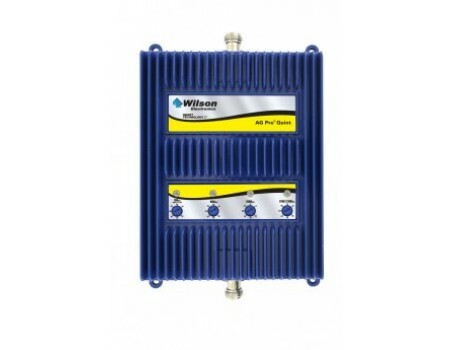 The Wilson 803670 AG Pro-Quint 5-Band 75 dB Amplifier has been discontinued and is being replaced by the new Wilson 461104 AG Pro Quint 70dB Signal Booster Kit - Voice, 3G & 4G LTE for all Carriers. This product contains the amplifier only. At least two antennas and cables (sold separately) are required to create a complete system. 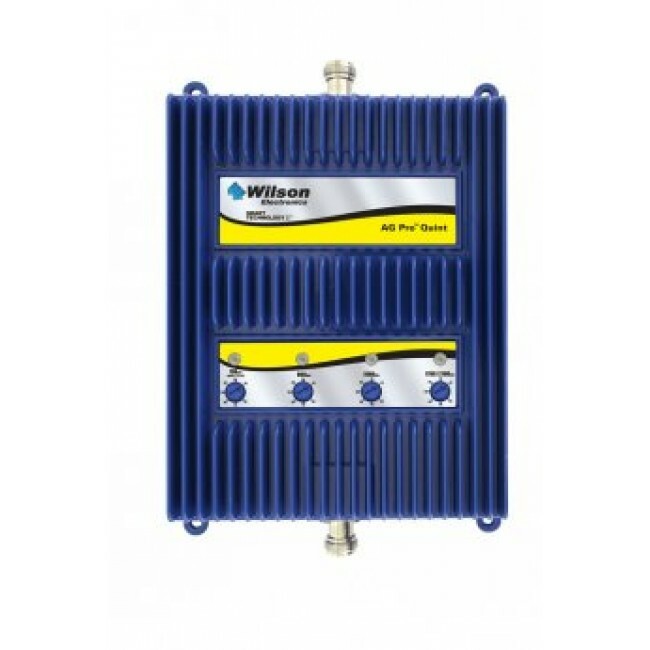 For a complete kit, check out the Wilson AG PRO Quint 5-Band Signal Booster Kit with Omni Antenna (803670). The Wilson 803670 AG Pro-Quint 5-Band 75 dB Amplifier features a powerful 75 dB 5-Band amplifier designed to provide up to 40,000 sq ft or more of coverage or more depending on the strength of the existing outside signal. The AG Pro Quint is able to boost multiple carriers simultaneously while supporting 50 or more phones and data devices at the same time. The Quint is ideal for offices and other environments where a large number of people have different cell phone carriers. This listing is for the amplifier only and will not work without antennas and cables. If you are not sure what components are needed, give give us a call and we can design a system to fit your needs.